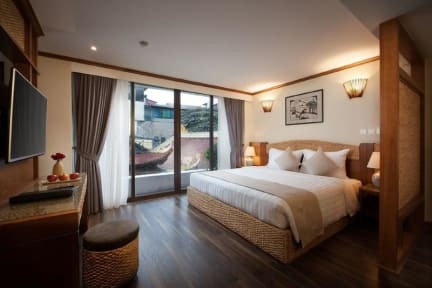 Hanoi Backpackersuite Hostel is located in the amazing area of Hanoi Old Quarter: just a few steps to Hoan Kiem Lake, Crazy Beer Hoi Conner in Ta Hien str, Bar, Pub in Center Old Quarter. The best location where you can get the craziest experience of the Backpacker area in Hanoi. 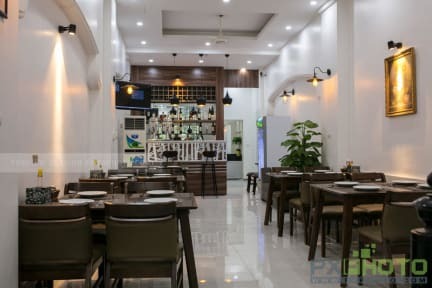 With centrally located, we are conveniently placed to walk to many attractions such as Temple of Literature, Ho Chi Minh Complex, One Pillar Pagoda, the History Museum, the Opera Host. We offer the rooms to suit the Bunk bed, Single traveler, Family, or Group with the view of the Old Quarter...with the bar, food service whole day.